The Badger Hair Brush: The water retention properties of a Badger Hair Brush creates a luxurious shaving lather from shaving creams and shaving soaps alike. This brush contains very high quality 'Best Badger Hair'. The Razor: Compatible with all Gillette Mach3 Razor Blades. The cigar shaped handle provides a firm grip for comfortable. efficient shaving. Gillette Mach3 Cartridge Blades are designed for less tug and pull, these new generation blades will provide a close, comfortable shave. The Travel Shell: The Shell will protect your brush and razor when you are traveling, it zips shut and measures 145mm x 100mm x 40mm deep. The Shell includes two internal Velcro securing straps. 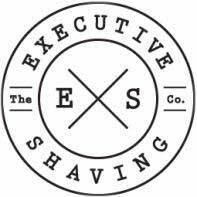 The Executive Shaving logo is on the outer of the Shell and on the Razor and Brush. With the greatest of pleasure! This is a deluxe shaving set deserving of the Executive Shaving name, however if it's not what you're looking for, click here to browse our extensive range of shaving sets to find something more suited to you. The wallet is made from nylon.